This course is designed to enable you to communicate with Deaf people in British Sign Language (BSL) at level 3 standard within a range of situations. The course leads to the Level 3 Certificate in BSL, accredited by Signature award body. The qualification comprises three units: Sign linguistic knowledge, receptive and productive/conversational skills. You will have the opportunity to undertake the examinations for these units within the course. You will learn specifically about functions of language and variations of BSL at level 3. We will give you practical experience in a productive working environment. – know a range of sign language sentence structures, applying signs and set phrases in varied work or social situations. – be confident in using BSL at level 3. Unit 322: Production – a topic is researched in depth, and presented; followed by a filmed discussion about the presentation. All units are externally assessed by Signature assessors. This course is designed for those who have achieved the level 2 certificate in BSL and have been recommended to progress to level 3. You will need to be able to find information (e.g. from the internet, books, meeting deaf people, etc.) and use this information in your presentation and conversation assessment. The class is taught in the visual language of BSL. You will need to have basic literacy skills, as you will be asked to write answers for sign linguistic and receptive skill assessments. You will also need to read some basic instructions and questions for assessments and exercises. A considerable amount of additional home study will be required. What are the costs? Is there anything I need to bring? You will need to buy a book and DVD “Linguistics of British Sign Language”. The cost of these are approximately £50 in total. Do I need to meet you first? Yes. It is important that we have met so that I can assess your BSL ability. There is a massive jump in skills from level 2 to level 3 and you may to practice considerably before starting the course. You will receive regular feedback from me throughout the course, as and when appropriate. When I’ve finished, what course can I do next? The new level 3 will be the starting point for those who wish to work with Deaf people. At the moment, the next level of training works directly towards qualification in BSL at level 6. It is a big step, so Signature are also developing a new level 4 qualification which is expected to be available in 2014-15; this will provide a stepped progression route towards level 6. I qualified levels 1 & 2 with private tuition from Rebecca. 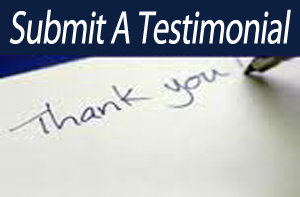 Her individual tuition, patience and thoroughness completely prepared me for both levels which I passed confidently. I would not hesitate to recommend her as teacher of British Sign Language.